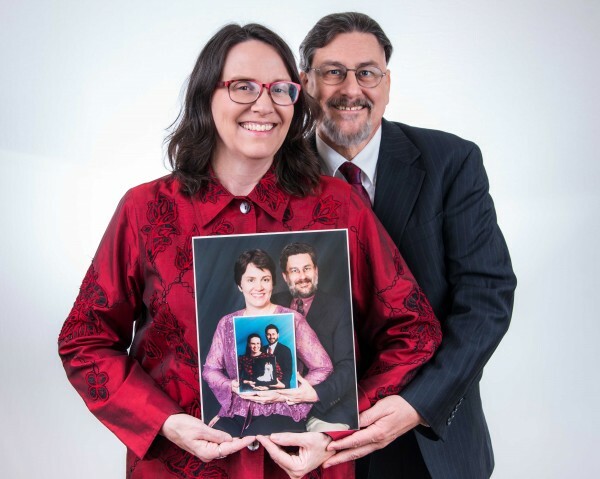 30th Anniversary pictures - Tunnel Through Time! These were taken by a friend, John Walsh, who is a professional photographer. Thanks for doing such a great shoot with us, John! And here it is! The famous Tunnel Through Time, taken every decade, now in its fourth iteration. Rob has had another PET scan and the news is not good. It's all summed up in the first line of the report: "Mixed changes with however worsening of lymphoma." Read the rest at the CaringBridge post here. Great news with today's PET scan! PET scan: liver glow GONE. Spleen glow GONE. Central glow deep in the abdomen (this is the one that really worried the doctor last time) GONE. Neck glow GONE. Slight glimmer on back of head remains, but no bigger than last time. New slight glimmer at tip of stomach: may be simply inflammation. Blood work looks perfect. Our doctor said, "This is an enormous response. Marked improvement. Everyone's happy. Take the weekend to celebrate." So...yeah. Thanks to Mayo! Thanks to our doctor. Rob's not ENTIRELY in remission, but he's pretty damn close. Which is absolutely amazing! (I sent the girls Snapchats all day about "Our Day at Mayo" and took screen shots of most of them). The flu put me badly behind, but I'm not quite so far behind now. The challenge that minnehaha K. gave me was that the Minicon card had to be made entirely with materials found at Minicon. The image in the lower left was cannibalized from the business card of the Artist Guest of Honor. 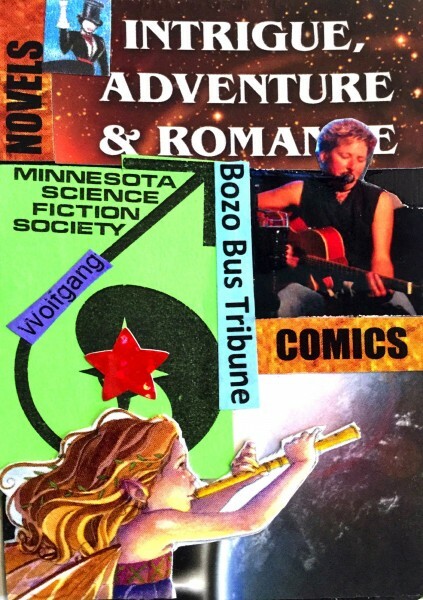 I used bookmarks left on the freebie table, promotional postcards, bits from the Bozo Bus Tribune, etc. I like this card. EverTwixt awaits you if you dare. 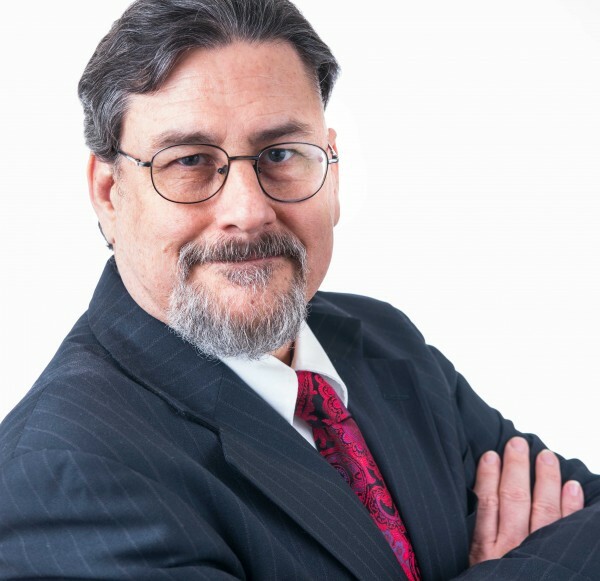 As part of my attempt to switch career fields, I started a marketing internship with an old friend, a writer I met at Clarion almost thirty years ago, Kelly McClymer, who is attempting to start a new website, EverTwixt.com. It's great fun, but an amazing time-sink. Also as part of my training, I've started learning PhotoShop. This was an attempt to make a graphic that could be used as part of the EverTwixt site: one of the stories available for download, "Maiden Ash" is a variant of Cinderella, and this image is suggestive of the moment when the stepmother scatters ivory beads and jewels in the straw and tells the heroine to pick them all out into separate piles if she wants to go to the ball. 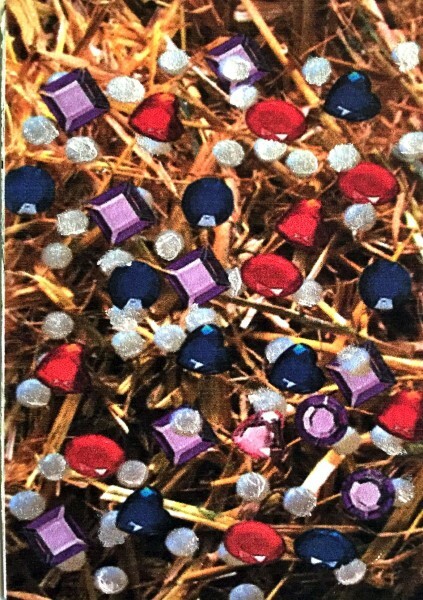 Of course, in PhotoShop, I was doing the exact opposite: painstakingly assembling the layers: straw, then jewels and beads. 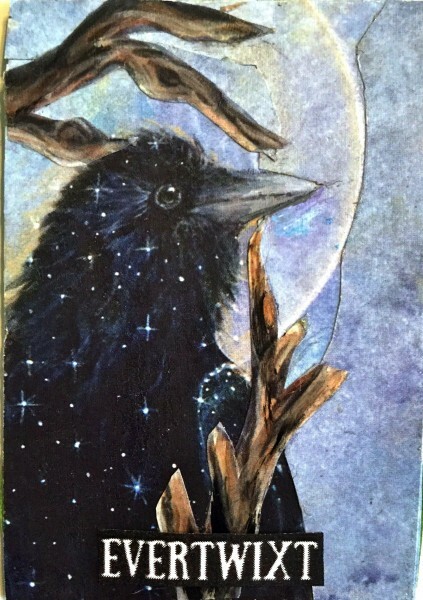 When I made the card, I cheated and embellished the beads with some glimmering paint minnehaha K.had hanging around. "There are three shadows on the liver in your CAT scan, and two on the spleen." This is what the doctor said when he came in to our meeting that week. (For details, you can see our CaringBridge). 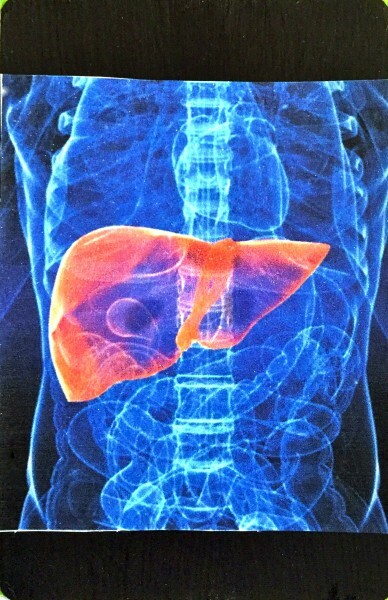 This is not an actual diagnostic image taken of Rob, but a graphic I found online, highlighting the liver. I added the shadows on it with PhotoShop. Rob and I just came back from Rochester. We have a mixed report. New spots on his liver and spleen. Are they tumors or inflammation? We don't know. The one deep in his body is probably a tumor, as it's right at the site of the tumor that started it all, which had apparently been eliminated by radiation in early 2015. One glowy bit from the last PET scan is gone. The doctor has decided the best thing is just to stay the course for now. Read the rest on our CaringBridge post here. I am so goddamned tired of all the uncertainty. We are back from a two day stay at Mayo. 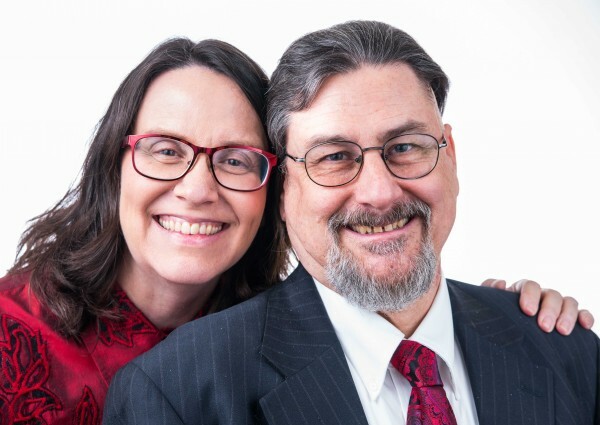 The latest PET scan and biopsy gave us good news, and we've learned some more about how truly fortunate Rob has been. You may read more at the CaringBridge link here.